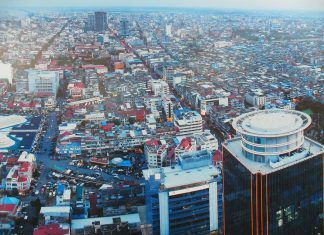 The Council of Ministers, with Prime Minister Hun Sen at the helm, will convene on Friday, according to a statement released on Monday, breaking a seven-week streak without meetings that fueled rumors about Mr. Hun Sen’s health. 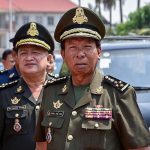 Defense Minister Tea Banh has been bestowed with Cambodia’s highest honorific, according to a royal decree signed on Saturday, just months after he threatened to “smash the teeth” of anyone who dared to contest election results with protests. A prominent academic and head of the country’s Vietnamese border demarcation, Sok Touch, has been made the new head of the Royal Academy of Cambodia—the country’s highest academic institution, which falls under the jurisdiction of the Council of Ministers—according to a royal decree signed on Saturday. A Vietnamese rubber company locked in a protracted dispute with more than 1,000 families in Ratanakkiri province has offered to return 15 “spirit mountains” to ethnic minority villages in an effort to appease the communities affected by the firm’s plantations. Three men, including a Cambodian Mine Action Center employee, were provisionally charged on Tuesday with arms trafficking, days after they were arrested for alleged involvement in smuggling weapons to Thailand, a court official said. 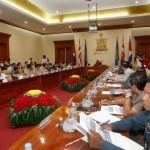 Several senior officials from the embattled KNUP have defected to rival party Funcinpec, a spokesman said on Sunday, following the sacking of 12 government advisers and a warning from the ruling party that all government workers linked to KNUP leader Nhek Bun Chhay will be targeted. 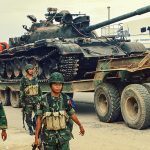 Weapons reportedly transported from Cambodia across the border into Thailand this week were not from Cambodia’s military stock, a Defense Ministry official claimed on Wednesday, following reports that five Thai men were arrested while moving the arms and ammunition. 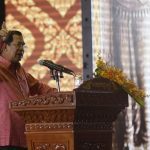 In a celebration that filled the capital’s sky with fireworks, Prime Minister Hun Sen on Monday lauded the recognition of Cambodia’s newly inaugurated World Heritage site, Sambor Prei Kuk, a collection of about 50 pre-Angkorian temples in Kompong Thom province. 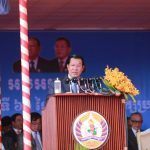 Prime Minister Hun Sen called a request by a retired official of the royalist Funcinpec party to give former premiers legal immunity a “serious insult” to the ruling CPP and the dream of a “deranged old man,” according to a local media report. 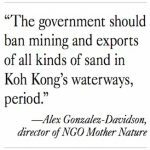 The Mines and Energy Ministry has issued a directive banning sand exports from Koh Kong province, months after it suspended sand exports and new dredging licenses over export record discrepancies. Two Cambodia Daily journalists accused of incitement and violating voters’ rights for asking questions in Ratanakkiri province’s Pate commune ahead of the June 4 commune elections have been summoned to court later this month. 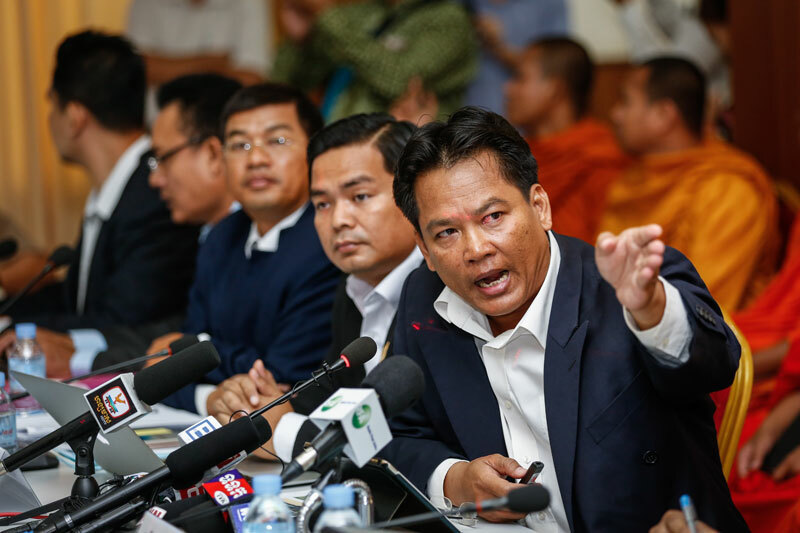 The opposition CNRP marked the 20th anniversary of the factional fighting that saw Prime Minister Hun Sen consolidate his power over the country with a modest ceremony at the party’s Phnom Penh headquarters on Thursday.